Trying to rebound after a bad year can be hard for a soccer team. Many times, there are new players on the team, new coaches and possibly a different system is implemented. When you are faced with these circumstances, it can be difficult to see progress. When you are trying to rebound after a bad season, you often take a few steps forward and a couple steps back. Just when you are seeing some progress, falling back a step or two can feel like failure. Some players start to question the team’s ability or the decisions by the coach. It can be very frustrating, especially when you are putting in a lot of training and hard work. You must have a good mindset to keep focusing on growth and the process instead of having high expectations–and focusing only on the final score. This growth mindset is critical for any team to get to the next level. A growth mindset focuses on improvement, not perfection. A growth sees progress as success, not just winning. A growth mindset steps up to challenges and doesn’t back down. A growth mindset goes back to the drawing board and adapts when things go wrong. A growth mindset learns from mistakes in order to play better in the future. A growth mindset looks forward to challenges and does not fear trying new things. If you want to stay motivated and keep improving, you must have a growth mindset. If you stick to this process, success will eventually come. 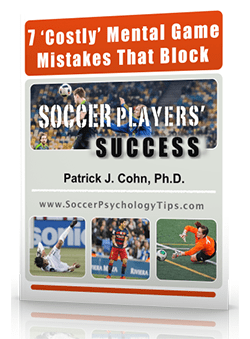 The growth mindset has been adopted by the US Men’s National Soccer Team. In December of 2018, the USMNT hired Gregg Berhalter as their new coach. As with any new coach, Berhalter has put his stamp on the team by implementing a new system and experimenting with new players. With such newness, it will take time to getting used to this style of play and become a cohesive unit. As the team prepares for the 2022 World Cup, each game is considered another step forward no matter what the result is. US defender Matt Miazga commented on the team’s perspective and growth mentality. In a recent friendly against Ecuador, the USMNT was favored to win. The US squad wasted several scoring chances even though they dominated much of the game. At the 81st minute, the USMNT scored on a shot that deflected off an Ecuador defender and went on to win the game 1-0. It would be easy for the team to view the game as a “failure” after a seemingly lucky goal but the team maintained their growth mindset and focused on the process with each game being an opportunity to improve. Veteran US midfielder Michael Bradley post-game comments also highlighted the team’s focus on growth. If you want to get your game to the next level, truly grow your game and play to your max potential, then you need to adopt a growth mindset and remember that it’s a process. Taking your game to the next level requires that you build upon your game with each practice and match–and have patience. Using practice objectives are critical to help you focus on the process of growth. The next step is to evaluate your performance, not during a game, but after a game. 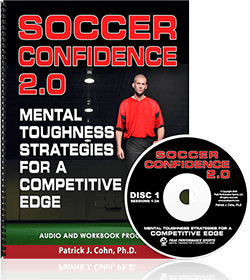 Ask yourself, “How well was I able to implement my new skills and is there anything that I need to focus on to improve my game in practice. These two questions can help you develop a growth mindset and focus on improving.